Not the usual Ferrari or Rolls Royce that you often see in Monaco. I wonder what make this cute little car is. Perhaps it's a kit car? Thanks to Murray, a friend who lives in Monaco. He tells me this car is a Caterham 7. ...and he's correct, it is based on the original Lotus 7. Incredible design, a total beauty! It is one of the most copied car model. There indeed were many kit cars based on the Lotus Seven. 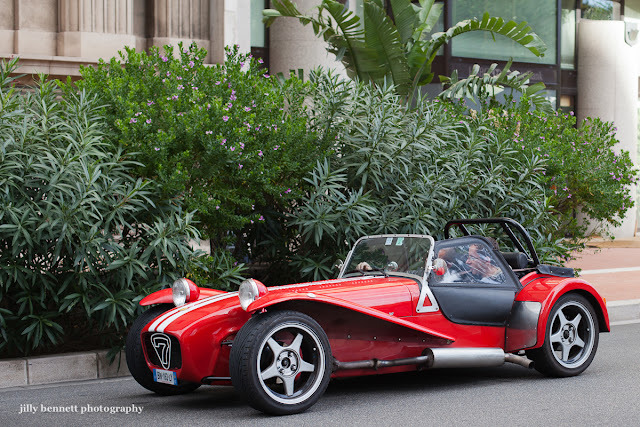 Even the most famous, Caterham 7, can be considered a kit car. It is available fully built or as DIY kit for a customer to build. Which would you choose?